The family of visually impaired Turkish journalist Cüneyt Arat, who has been jailed over alleged ties to the Gülen movement since July 10, 2017, announced on Saturday that they could not find Arat in his ward in Tarsus Prison and that they have not been given any information about his whereabouts. Arat was sentenced on Feb. 22, 2017 to six years, three months in prison on charges of membership in the Gülen movement while also getting 10 months, 15 days for allegedly promoting a “terrorist” organization. He was put behind bars after an upper court upheld one of his convictions, on July 10, 2017. 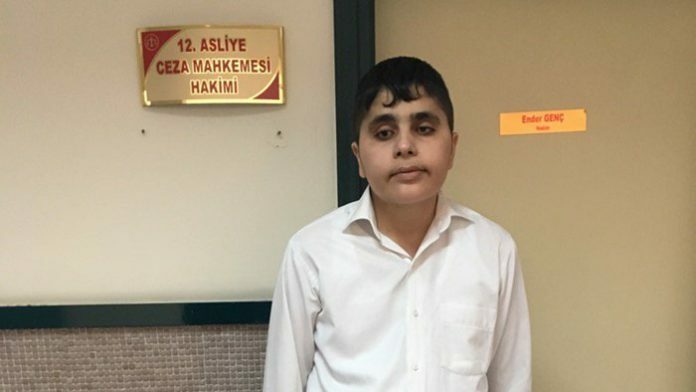 Arat, who is 90 percent visually disabled, had stated that he was first sent to Tarsus Prison and later transferred to the Mersin E-type Closed Prison. His family members tweeted on Saturday that Arat wanted to be sent to Ankara. Although Arat reportedly told his family during their last phone call to him that “I saw the director. He told me that If I do not want, They will not send me anywhere,” he could not be reached on Saturday. His family members have stated that they are worried about Arat’s health and wellbeing. Turkey is the biggest jailer of journalists in the world. The most recent figures documented by SCF shows that 240 journalists and media workers were in jail as of Feb. 22, 2018. Of those in prison, 205 are in pretrial detention, while only 35 have been convicted and are serving their time. Detention warrants are outstanding for 140 journalists who live in exile or remain at large in Turkey.